AndPak is an Australian owned and operated company based in Irymple, near Mildura in the Sunraysia region of Victoria. 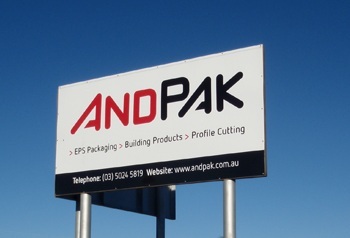 Established in 1988, AndPak has grown to become Australia’s leading regional manufacturer of expanded polystyrene (EPS) products. These products range from packaging for fresh produce, seafood and wine, through to exterior wall cladding systems and waffle pods for use in building applications. AndPak also offers custom packaging solutions through its profile cutting service.